Fear For Sale: Hidden in the Darkness is rated 4.0 out of 5 by 15. Rated 5 out of 5 by denniann2 from good HO game you have been asked to an island to find out what is going on. as you go through your journey you help other people. i played on the custom level and it had a good hint system. i skipped a good many mini games but i did solve a few. i am sure there will be another one since this is a series. Rated 5 out of 5 by effcee823 from Really Enjoyed this one I'm liking my HOG's in a more modern setting and this one has it all. Great twists to the story and challenging without being frustrating. Not repetitive and provided a good few hours entertainment. I'll be looking for more in this series. Rated 5 out of 5 by fishaddict from Good story, excellent HO puzzles! Good map; not a lot of hopping from one place to another. Also this game does something I really like in HOPs and rarely find; it returned me again to an already-viewed HOP, but none of the items I had already found were back on the screen in the second visit. Rated 5 out of 5 by skullfun from EXCELLENT FEAR FOR SALE MAGAZINE 10TH EDITION! I never tire of playing the role of Emma Roberts and in this episode she really get's herself in quite the conundrum. Following up on a missing persons investigation, Emma finds herself chasing after Linda Swan and her brother Tim. In addition, people are being kidnapped and it's up to Emma and her phenomenal investigative journalism skills to get to the bottom of this fantastic suspense thriller. The chase ultimately takes you to a strange location known as "Drammond Island" as you follow clues left by Linda and Tim. One of the clues you stumble upon is a diary left by a woman named Clarissa Marlow. In the diary Clarissa mentions renowned psychotherapist Richard Diamond who apparently owns Drammond Island. Clarissa stands to inherit an eerie attraction called "The Abandoned House" on Drammond Island from Richard Diamond though she never writes what her relation is to him from the Will. She does discuss in her diary the terms of the Will. Clarissa's gain of the property is contingent on creating a "Reality Quest" per Richard's Will. When Emma arrives at the Island she/you encounter a huge wooden sign which reads: Welcome to "The Abandoned House" reality quest! 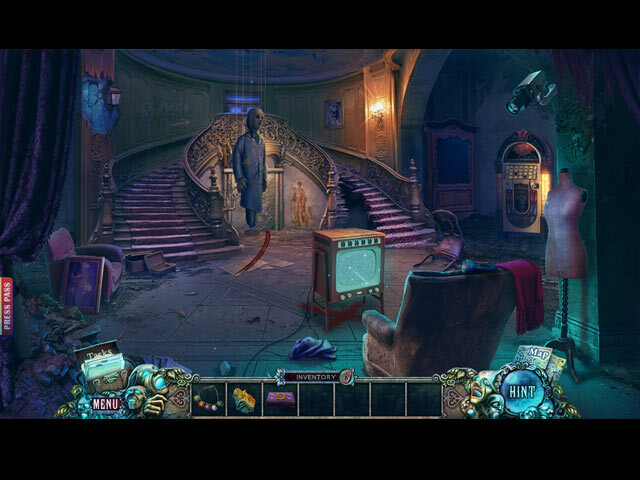 Your task is to explore the house and it's surrounding areas to find hidden treasure. The person who finds the treasure can KEEP IT. You have 6 HOURS to complete your mission. Good Luck! This is where the adventure really began to scare me. You soon learn that Guests who participate in "explore Abandoned House Quest" must sign a non-disclosure agreement from Quest management. YIKES!!! You/Emma proceed into the property only to find CAPSULES containing captured/kidnapped people in the basement and a note from Clarissa. In the note Clarissa states that if she notifies anyone about what goes on in "Abandoned House" they will KILL HER!!! Totally freaked out at the delirious insanity of what You/Emma encounter; you now understand that you'll have to do everything in your power to solve the dilemma. This is going to be one heck of an issue once You/Emma complete this fantastic adventure and submits it to the magazine! Truly an amazing adventure you won't forget anytime soon. Give this edition a chance and see for yourself why I choose the 4.5/5 star rating. Cheers! Rated 5 out of 5 by abbynormalusa from Like the variety of the game! Good graphics, music and story. It is hard enough but can be simple for beginners. It is for everyone. Rated 5 out of 5 by SparkleGlow100 from MOODY & RELAXING____5* START TO FINISH!____ Available at BFG since 2017. Review based on completed game. I really liked this game! A lot of thought must have been taken to ensure the excellent pacing of this game. Each step you take leads you deeper into the unfolding of this story. From an evening city skylinenext to choppy waters, to an island mansion, with woods, caves and rivers, you'll get a good dose of varied places and the outdoors. The quality of the scenes stays consistent through to the end and several of them are wonderful! The goodies just keep coming! Very relaxing and mysterious, not disturbing. GRAPHICS - Widescreen or Fullscreen. Great graphics! HOPS: -10- You can toggle back and forth between HOPS and jigsaw puzzle elements at any moment. PUZZLES: All skippable. I really enjoyed this mix of puzzles. SOUNDS - 4 adjustments: Music/Sound/Environment were all FANTASTIC!!! The music was left on in my game, for a lot of the time! MAP: TRAVEL with useful indicators JOURNAL: None DIFFICULTY SETTINGS – 4–interchangeable. Not possible to disable black-bar tips. HINT: Guides and leads. INVENTORY – Lockable CHARACTERS: You play as Emma Roberts, the effective and very capable detective. You have limited interaction with others. The characters are excellent, believable and NOT comical. I thought it was genius that the "baddie" creatures were made more benign rather than frightening. Rated 4 out of 5 by worlockslady1 from Not bad for a fear for sale. HO's were good but if HO's aren't your cup of tea, you can choose the option to do a jigsaw puzzle. Music was easy going, something you can relax too. Only downfall in this being a great game was many of the puzzles were very easy. This would be a good game to unwind to. Rated 4 out of 5 by PATinPNS from From Darkness Comes Light This is posted after playing the entire game. This was a decent game. I was a big leery about it from the demo, but decided I would go ahead and purchase it I'm glad I did. It was fun and kept me entertained during a rainy Florida day. Graphics were well done. They appeared to be more like drawings than computer animation. Voice overs were well done, and the effects went along with the action in the scene. I really liked the colors. They weren't dreary by any means and added so much to the scenes. The music wasn't intrusive and like the effects went along with the action. I really liked it. The challenge of the game, including my dreaded mini games, were right up my alley. 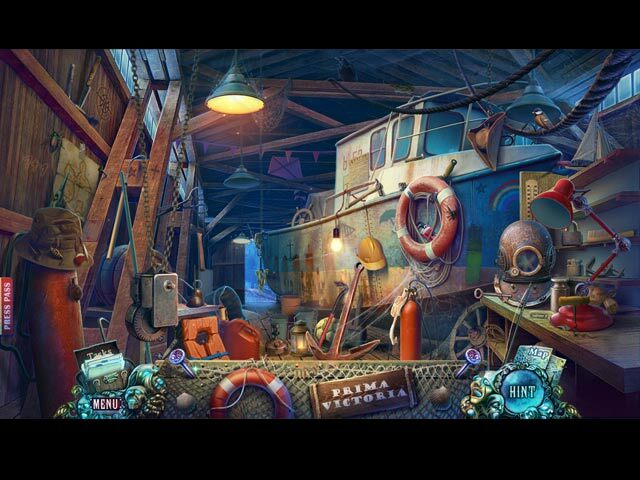 Hidden object scenes were mostly lists, but there were others tossed in to make it interesting. The only problems I encountered were some of the objects were so small I just couldn't see them even after using a hint. In regard to the mini games, they were rather simple. I did most of them which is really unusual for me. The difficulty I experienced was the instructions were difficult to understand on some. I just couldn't figure out how to do them. There is really nothing we haven't seen before in the mini games or hidden objects, but they were fun to do and that's what counts.The interactive map was really helpful. It showed where things needed to be done and would transport. With several degrees of difficulty to choose from, I used the custom to have a quick hint and skip button. I do like that feature. The story is pretty much like the rest. Others will go into depth about the story, so I won't bore you with the details. People are kidnapped, man trying for eternal life.. etc.. etc... etc. The only big difference in this story and so many others was the continuity. The story held together all the way through and wasn't just thrown together like so many. I enjoyed it. I keep saying I'm going to take notes as I play to give a more informed review, but I get going in these games and just lose track of what else I'm doing. Maybe next time. That's about it. Play demo and see if this doesn't tickle your fancy. It did mine. Rated 4 out of 5 by ninja226 from Reality Quest meets Emma Roberts Overall, it's a good sleuthing HO game, but storyline is not plausible and descends into sci-fi nonsense. It's a pretty long game. There are more mini games than HO scenes. Puzzles are not too hard, and experienced Fishies will find them easy. HOS are standard, but not spectacular. 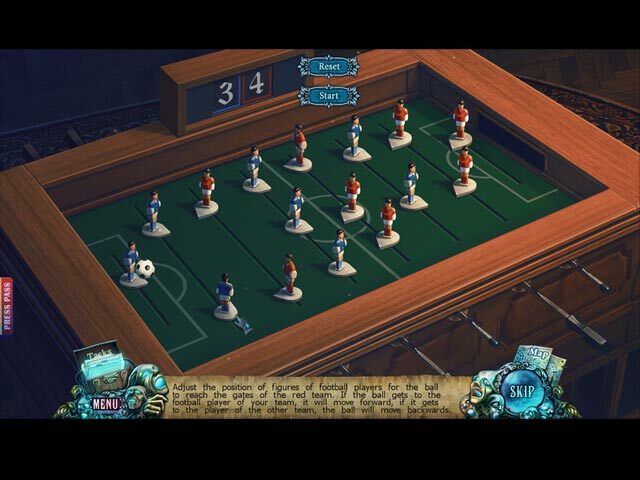 The game starts out really well, but stagnates in the middle and end. I wish the graphics had been high definition and more special effects in the animation. It is not the best in the series, but a pretty decent game. I recommend trying the demo before purchasing. I liked the series when it had a CSI-like atmosphere and you felt like a real detective. This game seemed to lack that authenticity of a true detective drama. Rated 4 out of 5 by Pilot1 from A little charmer! The story line is quite simple, and often seen: someone is missing and you must find them while, of course, overcoming every stumbling block tossed in your path. The graphics and sounds are not outstanding, but they are rather nice. The interactive map is useful, but you probably won't need to use it very often as movement from location to location is generally quite logical. This is not a very complicated game, nor are the HO sequences or mini-puzzles. It is, though, rather charming, easy to play, and a pleasant way to spend a little time doing nothing important. As always, I recommend that you play the demo and decide for yourself.